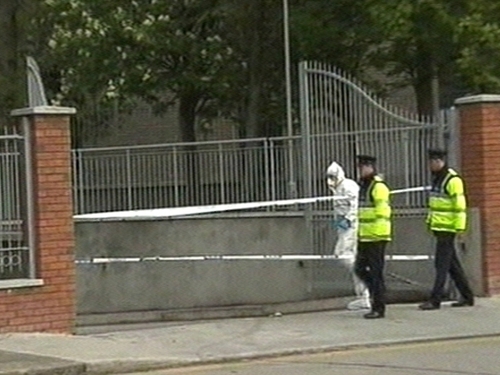 A 22-year-old man has been shot dead and two others have been injured in Artane in Dublin. The attack happened shortly after 3am this morning at Brookwood Abbey apartments. The dead man has been named as John Clarke, but was also known as BJ Clarke. The men were in a car in the underground car park of the apartment block when shots were fired at them. Mr Clarke was shot a number of times in the upper body and was pronounced dead a short time later at Beaumont Hospital. Two injured men, who are also in their 20s, are being treated at the hospital where their conditions are not life threatening. Mr Clarke, who had drugs related convictions, had been warned by gardaí a number of times that his life was in danger. He had also been shot in the legs six weeks ago. The scene of the killing has been preserved for forensic examination and the incident is under investigation. Gardaí have recovered a silver BMW that they believe was used by the gunmen. It was found burned out in Mount Prospect in Clontarf this morning.